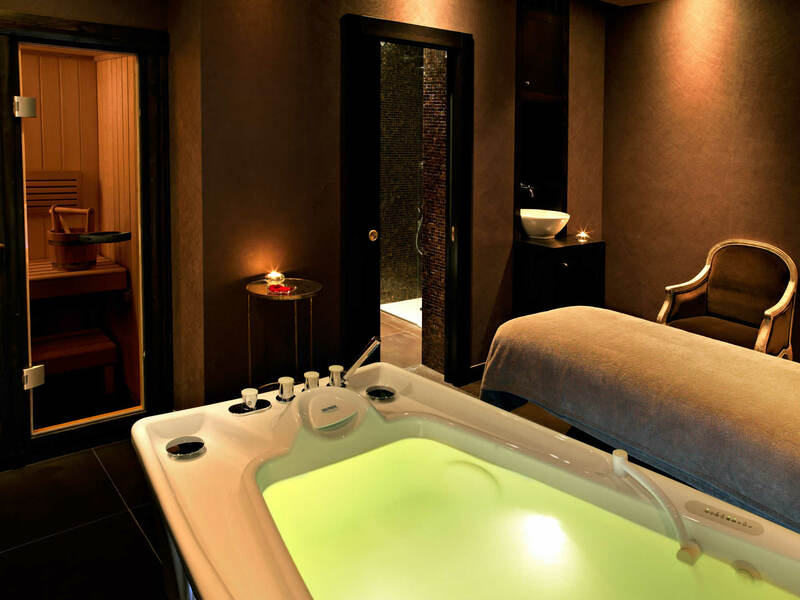 Specially created for couples, it offers private access to the water zone, a California Twin bath with Hydromassage, chromotherapy and acoustic massage with sound waves, a couch for Lomi Lomi facial/body treatments and a private Samarium. It also has an exclusive changing room, shower area and private bathroom. The exclusive service is complemented with Champagne, fresh fruit and chocolate treats.